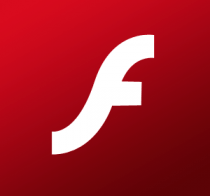 Adobe is working on a new Flash Player sandbox for Firefox that will essentially work in “Protected Mode” in an effort to protect users against exploits. The design of the sandbox is similar to what the company used with Adobe Reader X Protected Mode and is said to follow the same Practical Windows Sandboxing approach, according to a post on the company’s blog. In security terms, sandboxing is a mechanism by which running programs are separated from each other to avoid fallout should a program crash or become compromised. Sandboxed apps typically have heavy restrictions placed on them including restricted network access and the ability to read from input devices. As such, the sandboxed version of Flash Player for Firefox will establish a low integrity, highly restricted process that must communicate through a broker to limit its privileged activities. Adobe notes in the post that there hasn’t been a single successful exploit in the wild against Adobe Reader X since its launch in November 2010 and the team is hoping for similar results with Flash Player sandbox for Firefox. Adobe just launched a public beta of the Flash Player sandbox although a full stable version isn’t expected until sometime later this year. The Adobe team encourages users to download the beta and help test it to accelerate the release of the final version. No word on if this will do anything to fix the Flash video lockup issue that has plagued Mozilla’s browser for quite some time now.